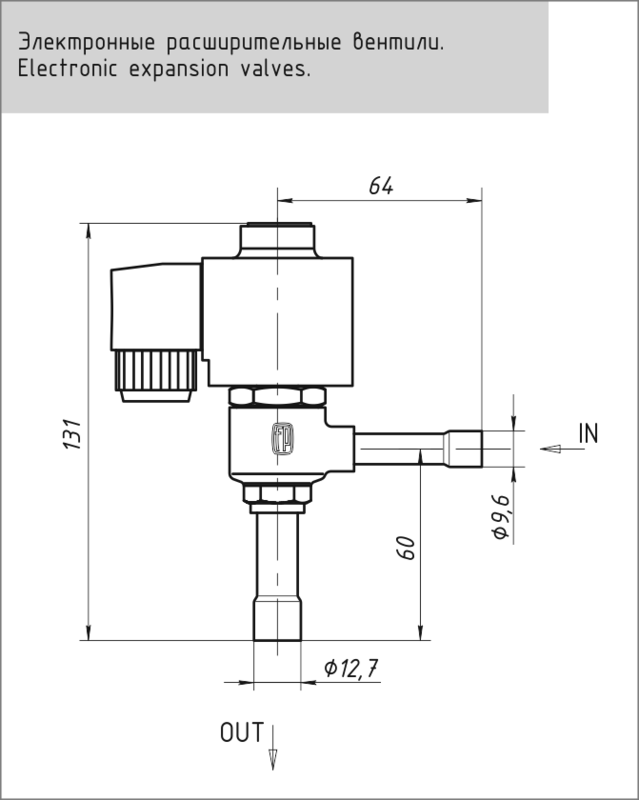 The electronic expansion valve is designed to inject refrigerant into the evaporators of refrigeration units and close the liquid lines as a solenoid valve. The valve is driven by an electric drive. The valve is controlled by the FP-MC-23EM refrigerating system controller via a PWM signal of alternating duty cycle. HFCs, CFCs, HCFC refrigerants can be used as a working medium. The number giving an idea of ​​the performance is included in the type designation. This number indicates the number of the nozzle insertion. Node nozzle insert is replaceable.